Open sky, warm summer days, friendship, and adventure. The idealized “summer camp” has been enshrined for decades in movies, Uncle John’s yarns, and perhaps your own childhood memories. It serves as an adolescent’s wild escape from the boring confines of suburban neighborhoods and primary school, at least until “growing up” happens. But what if the fleeting joys of summer camp never ended? What if you could live in summer camp? Obviously, the creation of such a place would be driven by the demands of the children, and the ready acquiescence of their family. Certain challenges would need to be addressed, such as providing the children with a formal education, the parents with jobs, and ample housing for all while respecting the natural environment. Would it be possible? Yes, and indeed it has been done. Youth leaders in regeneration and sustainability at La Cité. Cité Ecologique was founded amongst the rural hills of Quebec over 30 years ago, although the community’s children had been attending summer camp on the 700-acre property for several years prior. Falling in love with camp, as many children do, these kids somehow convinced their parents to join them. Banding together for their children, the parents took a leap of faith and figured out the details along the way. La Cité’s incredible story invites us to imagine what is possible when young people work with elders to create a more beautiful world. 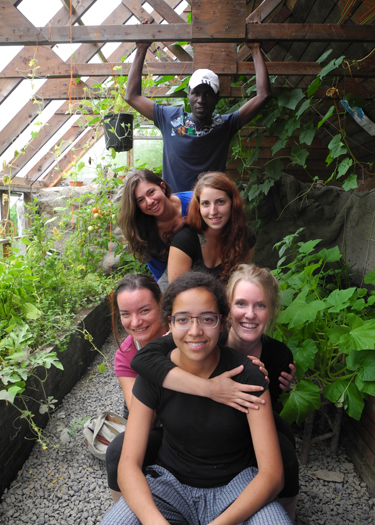 For this reason, NextGEN, an organization connecting youth with ecovillages, will be hosting its 3rd Annual Youth Ecovillage Summit at La Cité in Quebec this June 9-12, 2016. 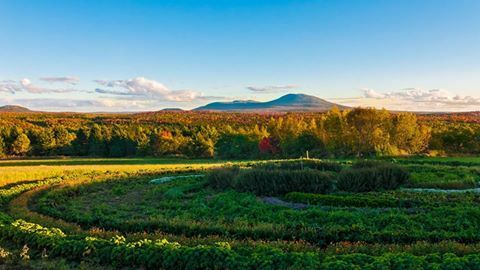 Old and young will gather from near and far to visit this magical summer-camp-turned-ecovillage. Want to experience the magic yourself? Join us as we explore what works and doesn’t in the ecovillage model, hold intergenerational dialogues and, without a doubt, share a weekend of profound transformation. Registration is still open for this year’s Youth Ecovillage Summit. 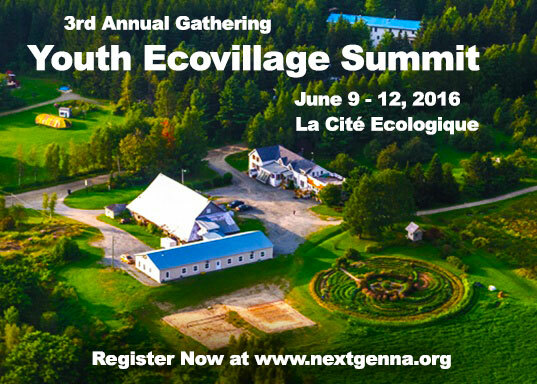 Visit http://www.nextgenna.org/youth-ecovillage-summit-2016.html to learn more and reserve your space before the event fills up! Email contact@nextgenna.org with questions.